Odisha Joint Entrance Examination in short known as OJEE is an entrance examination conducted by the state government of Indian state Odisha. The entrance examination will be conducted to check the eligibility of the candidates willing to seek admission in engineering and technology. OJEE 2019 is a centralized exam controlled by the state government of Odisha. The examination is accepted by most of the private and government medical, engineering & management institutions in Odisha. Every year around 3 lakhs of students appear for the entrance examination. OJEE 2019 examination will be conducted in offline mode for the duration of 3 hours. The candidates qualified the entrance examination will be eligible to seek admission in the engineering colleges. In the below article candidates can get the complete details regarding the exam. An OJEE exam schedule for the academic year 2018-2019 is announced by the admission authorities of the entrance examination through its official website. The examination in planned to commence in the month of May 2019 and the application form for the same will be available from February. The eligibility criteria for OJEE 2019 will be based on the factors like age limit, academic qualification, minimum marks in qualifying examination and subject combination. Candidates willing to appear for the entrance examination will have to meet the eligibility criteria set by the board. There will be no limitation for age. Age: For OJEE 2019 candidates with any age criteria can apply. Nationality: Aspirants should be a citizen of India to appear for OJEE 2019. Domicile: To appear for OJEE 2019 aspirants should be a permanent resident of Orissa state or should be residing in the state from minimum 10 years. Qualification: Candidates should have passed/pursuing 12th from a recognized board to appear for OJEE 2019. Required Scores: Candidates should attain a minimum of 45% aggregate in subjects like Physics, Chemistry and Mathematics to appear for OJEE 2019. For reserved category, candidates with 40% aggregate are also eligible. OJEE 2019 application form will be released through online mode from the official website. Candidates willing to appear for the entrance exam can apply from December 2018 in online mode. Candidates should provide the accurate information while filling the application form. Candidates should fill the required details and register OJEE 2019. Candidates can successfully register themselves after reading the guidelines. Aspirants will have to make the payment of INR 450/- through online mode via net banking/credit card/debit card. Candidates can make the choice filling of their preferred colleges and preferred branches to have a better chance of getting admission. Mock Results states the candidate’s seat allotment status which is declared by the admission authorities of OJEE 2019. Candidates will have to confirm that the choices declared are correctly entered. In case of any changes to be made, candidates can alter it before locking. Visit the official website of OJEE 2019 and navigate to New Candidate Registration. Fill the application form with the accurate details and click on submit option. The login Id and password will be mailed to the registered e-mail Id. Upload the scanned copies of left thumb impression, signature and the recent passport size photograph of the candidate. Make the payment and take the print out of the same for further use. Exam Pattern for OJEE 2019 is based on the criteria’s like duration of the exam, mode of exam, marking scheme, qualification, etc. The exam pattern is been set by the admission committee of OJEE board. Mode of Examination: OJEE 2019 examination will be conducted in offline mode i.e., pen and paper based. Medium of Examination: OJEE 2019 entrance examination will only be conducted in English language. Duration of the Examination: The OJEE 2019 examination will be held for 3 hours i.e. 180 minutes in total. Exam Paper Format: OJEE 2019 question paper consist of objective types questions. Each question will be provided with 4 options and the candidates will have to choose the correct answer. Marking Scheme: In OJEE 2019 candidates can attain 4 marks for ever correct answer and lose ¼ marks for every wrong answer. Unanswered questions will neither gain any marks nor lose any marks.? Qualification: Candidates completed/pursuing 12th from a recognized board with mandatory subjects like Physics, Chemistry and Mathematics are eligible to appear for OJEE 2019. Admit Card is a mandatory documents issued by the admission authorities of OJEE 2019. The admit card contain all the details required about the candidate and examination. Candidates should check the mentioned details on the admit card, in case of any errors it should be brought into notice of the concerned authorities. Visit the official website of OJEE 2019 and navigate to Admit Card link. Login with application number, password and security pin and click on submit option. Once the Admit Card is displayed download and take the printout for further use. OJEE 2019 results will be declared in the month of April 2019 by the admission committee of Odisha Joint Entrance Examination. The result declared would be considered final and the counseling process begins on the basis of the candidates score. Visit the official website of OJEE 2019 and navigate to Download Rank Card link. Login with the provide detail and click on Continue option. Once the result is displayed take the printout of the score card for further use. OJEE 2019 Counseling will commence soon after the declaration of results in the month of June 2019. Candidates qualified the entrance examination with a valid score are eligible for counseling process. The seat allotment will be done based on the choices filled by the candidates. 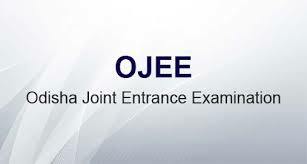 Examination Center of OJEE 2019 will be established by the Orissa Joint Entrance Examination Board. Exam centers are been set up in various cities of the state and each candidates will have the option of choosing 3 exam center during application form filling.